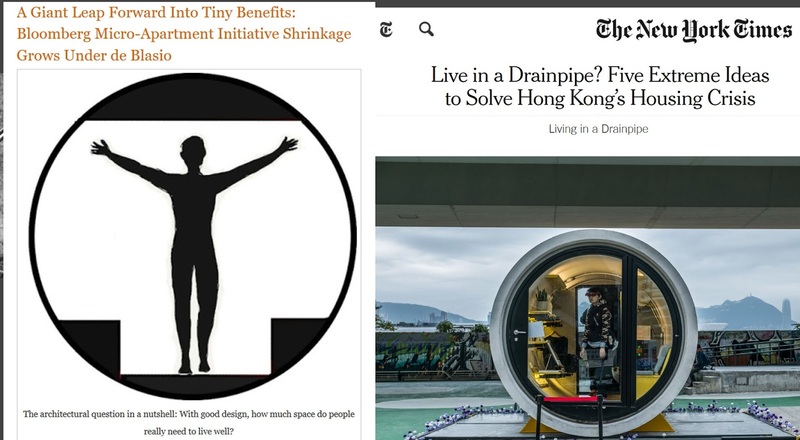 Come on everybody: The New York Times just ran an article about "extreme ideas" for solving housing crisis problems that suggests people take up compact living in drainpipes . . . . .
. . . . Didn't people read our Noticing New York article done for last April 1st? 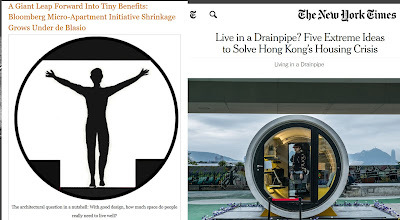 See: A Giant Leap Forward Into Tiny Benefits: Bloomberg Micro-Apartment Initiative Shrinkage Grows Under de Blasio, Saturday, April 1, 2017. At this rate what the heck are people going to be able to produce for April Fools' Day that will safely constitute genuine satire without the truth catching up too fast?